A considerable part of the existing power plant capacity in Germany and in Europe will have to be replaced within the next 10 to 20 years for ageing reasons. Moreover, as per the atomic legislation in force, shutdown and thus replacement of nuclear power plant capacity is due. The energy-political and entreprenurial decisions on a balanced and competitive future energy- and power plant mix must thus be taken within the coming years. How can an adequate return of the money invested in the renewal of the German power plant park and the grids be ensured in a liberalised energy market in view of short-term supply contracts subject to strong price fluctuations? In how far do European and national legislations influence the investment options? Under the foreseeable marginal conditions: is adequate investment in new generation- and grid capacities still possible? Which preconditions must be created? A joint study by German associations is to be elaborated to answer these questions. In a first step the planned study is to present the status quo of electricity generation and -supply and identify the insecure marginal conditions for investments in new power stations and grids as key problem of liberalisation. Further, plausible options for the future energy mix will be defined. This will - among others - be based on investigations by Professor Ulrich Wagner, Chair for Energy Economy and Application Technology of the Munich Technical University. On the basis of today's infrastructure of electricity economy, legal regulations etc. the framework of activities for entreprenurial investment decisions is to be presented and evaluated as well as the necessary support by the political part defined. The investigation results are to make an objective, well-founded contribution to the actual, political discussion process. The VDEW Steering Committee "Energy Politics" has founded a project group to support realisation of the study. In the project group, representatives of the companies and associations VDEW, AGFW, VDN, VGB, VKU and VRE are involved. The study is to be ensured in close relation to practice by furnishing personnel resources through the associations/companies of the energy economy. 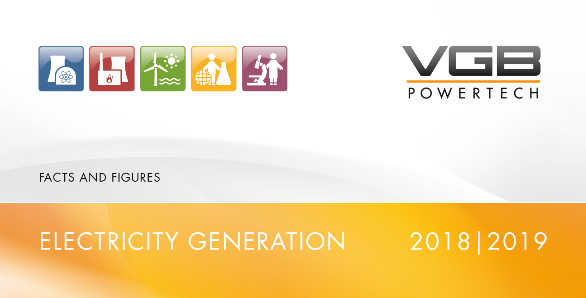 Co-operation of VGB ensures representation of the electricity suppliers. The study is of particular relevance due to the electricity economy being asked on the demand to the Federal Ministry for Economic Affairs and Labour (BMWA) to present an energy programme, to contribute their relevant ideas. This has been underlined recently by a letter by the BMWA. A letter from among the SPD group in the German Bundestag is heading towards the same direction. Further, Eurelectric has launched an EU project within the framework of the Working Group "Ensuring Investments", which particularly the German electricity industry is expected to support. The project is carried out by the bremer energie institut directed by Prof. Wolfgang Pfaffenberger and will be finished until December 2003.